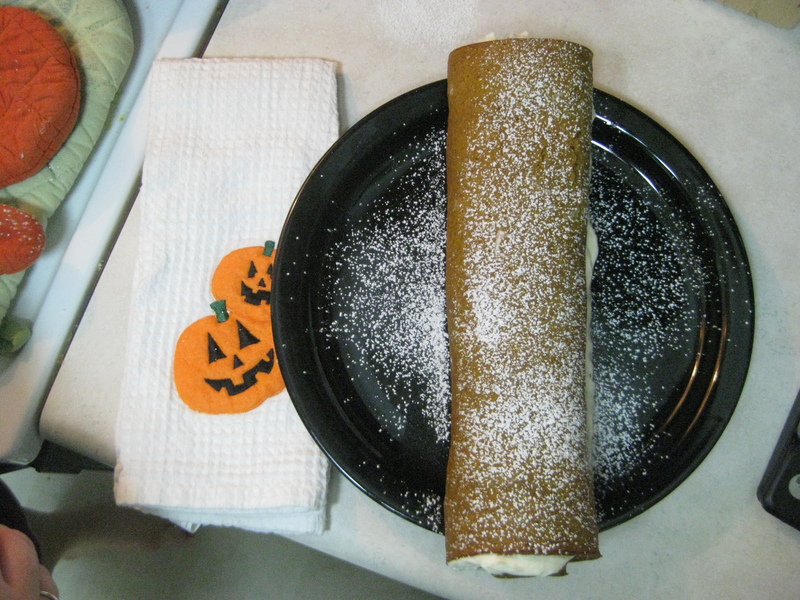 Last week I got an email from my aunt with a recipe for a pumpkin roll that I just had to try (the above picture was actually one she took of her own). 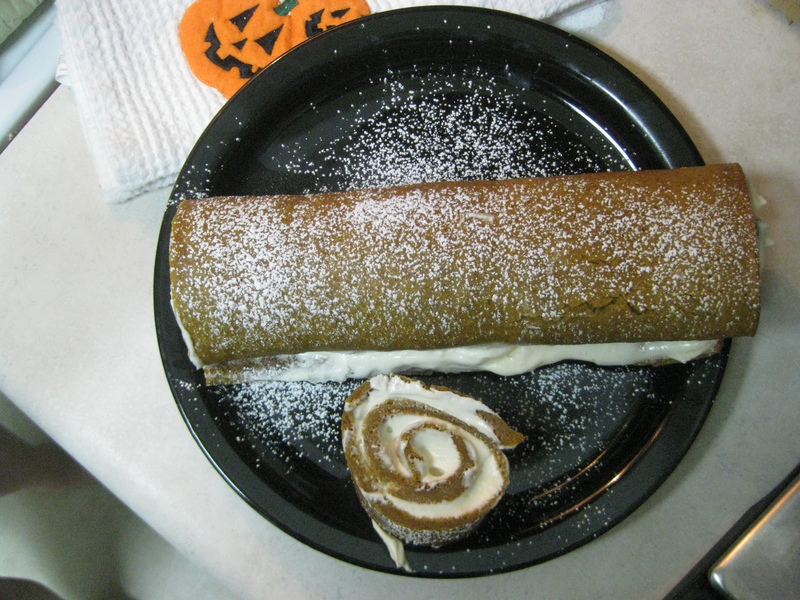 I’ve been seeing these pumpkin rolls pop up all over the place, and they look really interesting. 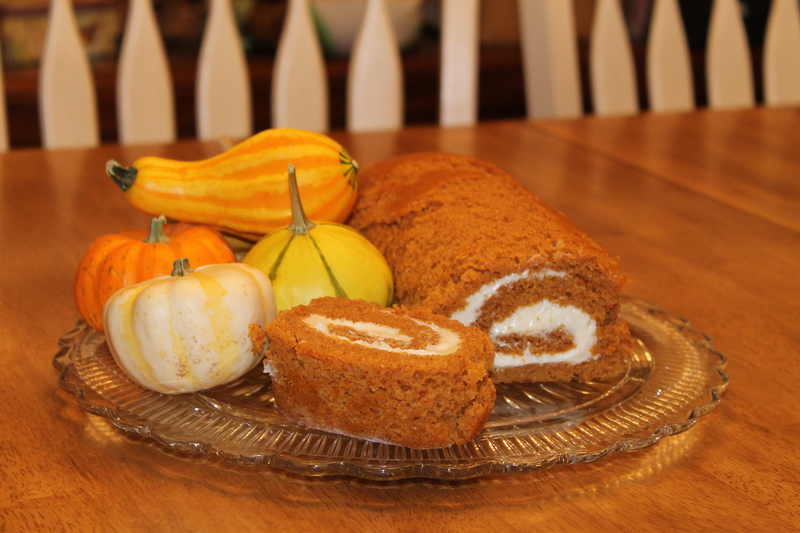 Tis the season for all things pumpkin, and I was excited to make something other than pumpkin pie. This recipe is super easy and so fast to make! 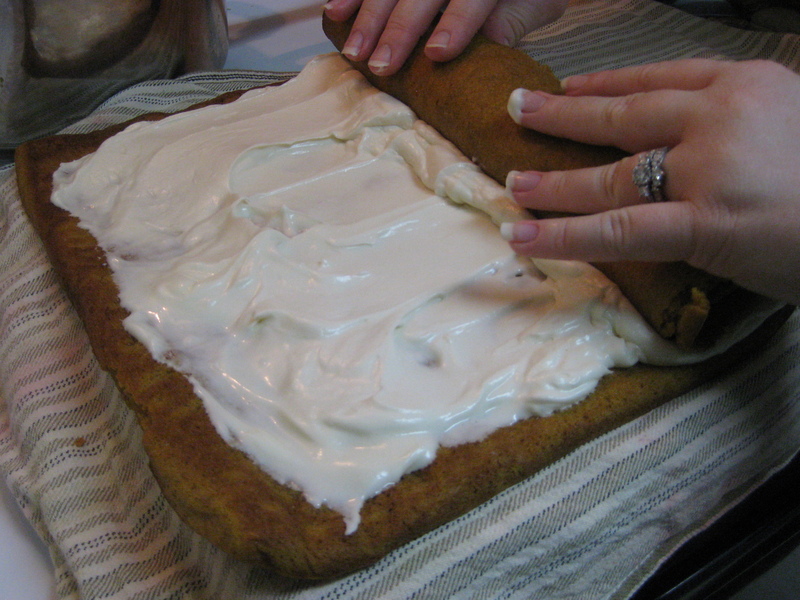 From the time that you start making the cake to the time you roll up the finished product, it probably takes less than a half hour. And as much as you will want to try it right out of the oven, my recommendation is to wait until it is chilled. It is 20 times better cold than hot! The recipe comes from a website called How Does She. There they give an awesome step-by-step tutorial with the recipe. 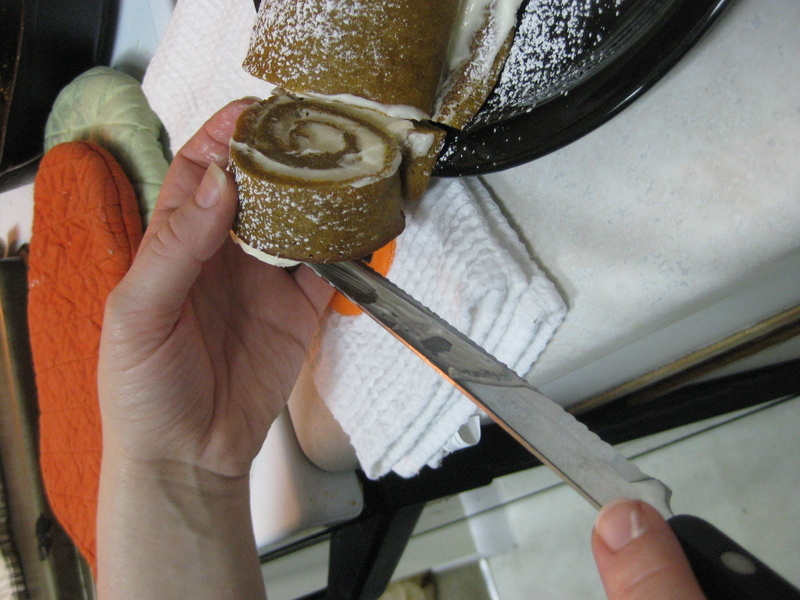 Her recipe is awesome – the only thing I did was add maybe 1/4 cup more powdered sugar to cut the richness of the cream cheese because my hubby doesn’t like it too rich. So hop on over there and give this recipe a shot! You should probably make two because I know you will be sad when the first one is gone… we sure were! What’s your favorite pumpkin-y treat?